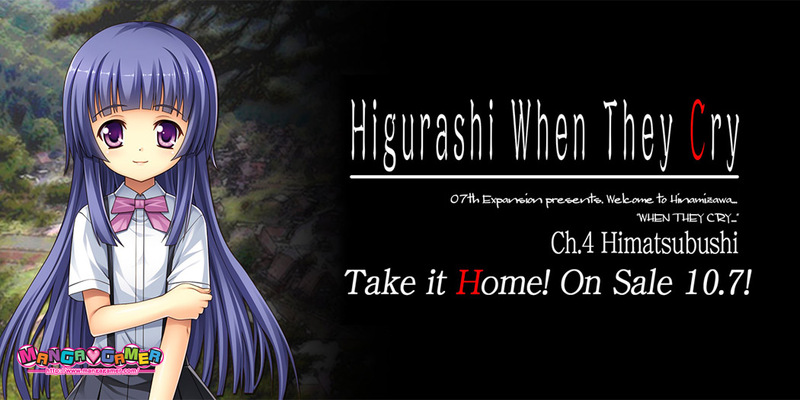 Higurashi Chapter 4: Himatsubushi Now Available for Pre-order! 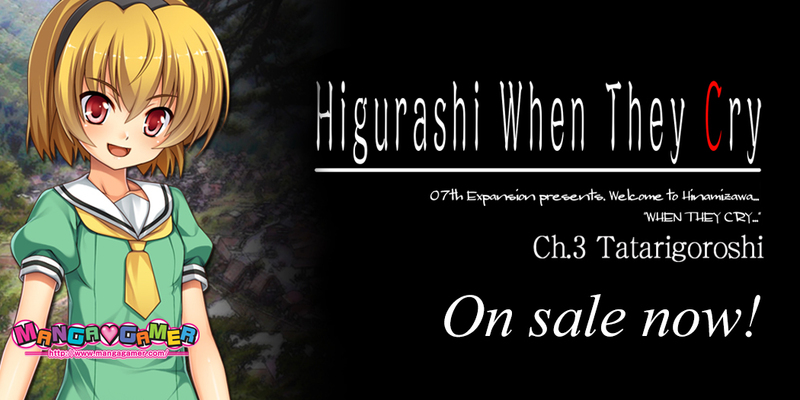 The fourth installment of Higurashi Hou, Himatsubushi, is now available for pre-order! It’l be available on both MangaGamer.com and Steam on October 10th! You can also pick up the Question Arc bundle featuring chapters 1-4 today––chapter 4 will become available in the bundle upon release. 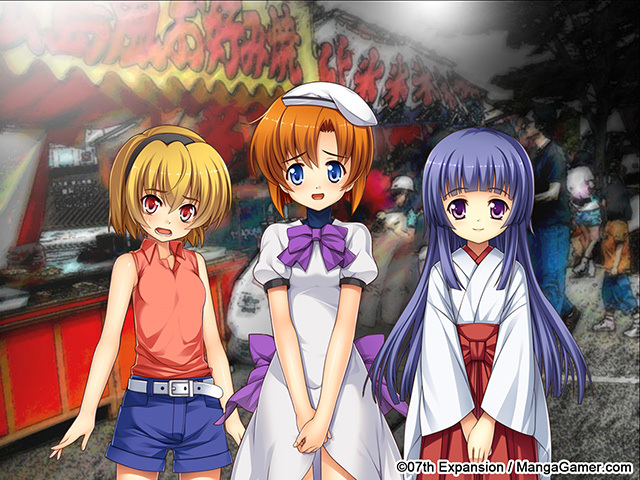 Higurashi Ch. 3 Tatarigoroshi Now On Sale! We have a little surprise for everyone today! 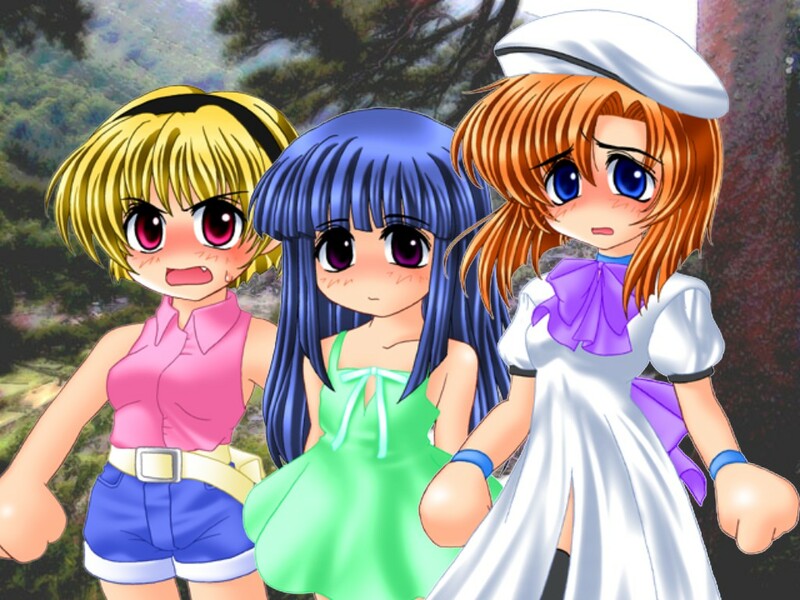 We happened to finish testing a little early so… the third installment of Higurashi When They Cry, Tatarigoroshi, is now on sale! Pick it up straight from us or on Steam later today! 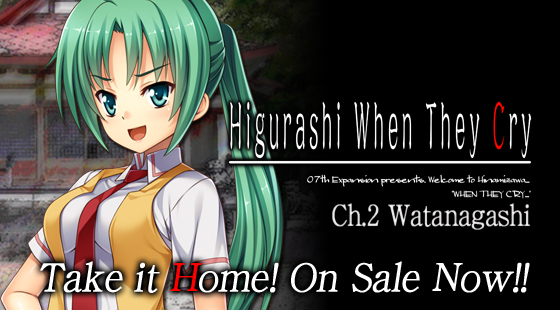 Higurashi Chapter 2: Watanagashi Now on Sale! 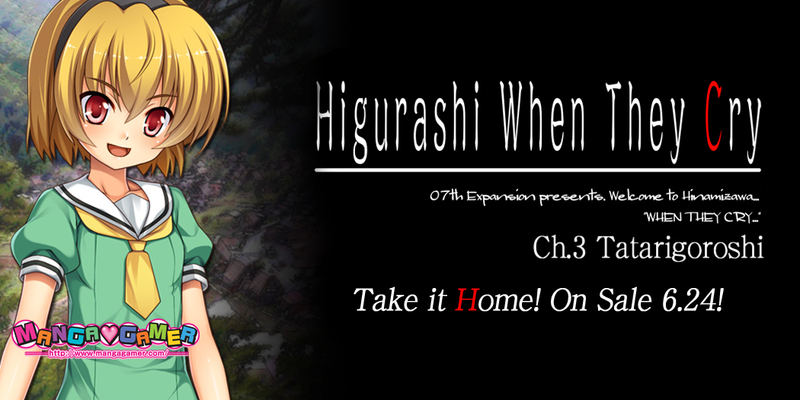 Chapter 2 of Higurashi, Watanagashi, is now available from MangaGamer.com! It will be unlocking on Steam in a few hours at 4p.m. PST. If you’re new to the series, be sure to pick up the first installment, Onikakushi first! Higurashi Chapter 2: Watanagashi Now Available for Pre-order! 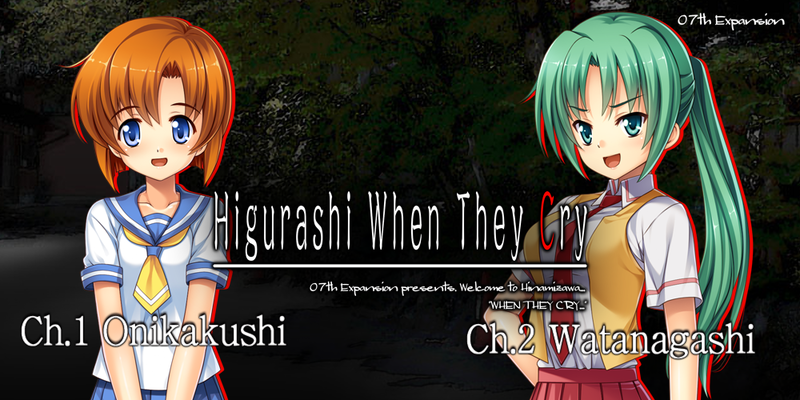 The second installment of Higurashi: When They Cry, Watanagashi, is now available for pre-order! 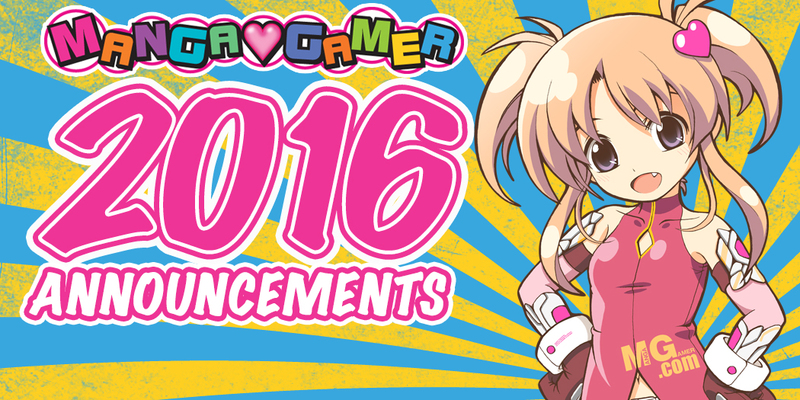 Watanagashi will be available on MangaGamer.com and Steam on Friday, November 13th! Pre-ordering on MangaGamer.com will get you the game at 10% off and you’ll receive a complimentary Steam key as well. In this chapter, Watanagashi (“Cotton Drift”) Keiichi encounters a brand-new mystery in Hinamiazawa – Shion Sonozaki. Who exactly is Shion? Is she really Mion’s twin sister? Is she just an alter ego Mion adopts to let off steam, or is she a split personality? Maybe she’s being manipulated into carrying out Oyashiro-sama’s curse?! 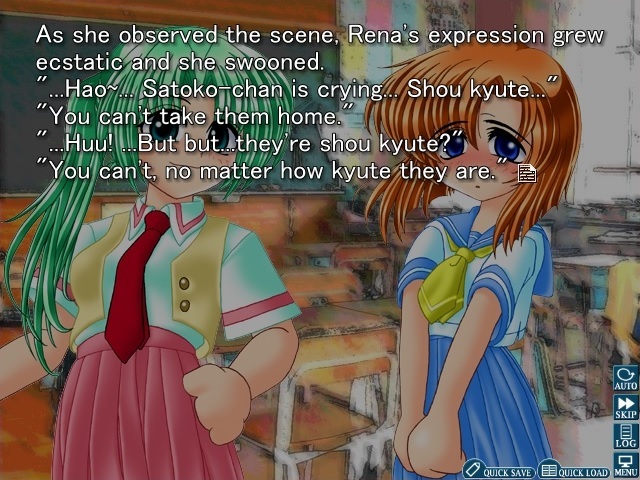 Either way, you’ll have to find out the answers or die trying… when the higurashi cry.